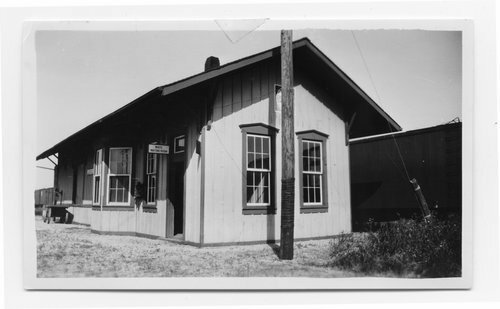 This black and white photograph shows the Gulf Colorado & Santa Fe Railway Company depot at Copeville, Texas. The depot was built in 1887. Visible in the photograph is a sign for a segregated waiting room.